A wedding comes with endless tasks, hours of hard work and a list of things to dos. The best solution to take the stress off is to leave it to the experts. Starting from booking a perfect venue, engaging trustworthy vendors to giving wings to your wedding dreams, the best wedding event management companies in Chennai takes care of end to end wedding organizing. Kiyoh, wedding planners in Chennai offers inspirational wedding themes both whimsical and romantic that can leave your guests wondering with awe. You have a vision and we are here to get it executed. Every wedding has to be captivating and enjoyable at the same time. At Kiyoh, best theme wedding organisers in Chennai, we create an experience to display the couple’s identity. 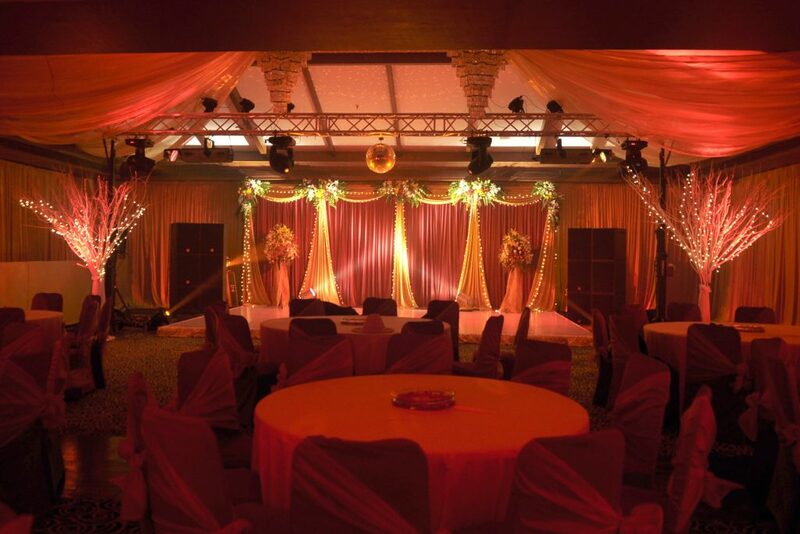 As part of wedding arrangements we take care of lighting, decors, logistics, multimedia and manpower. We provide catering based on the cultural identity of the couple. We have the potential and are highly qualified professionals to give a cosmopolitan touch to your wedding event. Keeping your character and personality in mind, we weave a theme just right for the couple. We have earned the reputation of being a responsible destination wedding planners in Chennai. We believe in organising a perfect and hassle free wedding. As wedding contractors in Chennai, we are here to turn your dream into reality. Dress selection, photo shoots, food and beverages, decors for reception area and much more nitty-gritty are taken care right to the minutest of details so that no one lifts a finger in question. We are here to execute the aesthetic vision on the wedding day. As budget wedding planners in Chennai, we give additional touches to make it extra special. You can be confident of executing the entire wedding in the budget. No matter what your requirements are, big or small, our hassle-free wedding planning solutions are here to create a setup just right for you. A wedding day is the busiest, and you want someone to take care of the activities without any snags. With Kiyoh, Event Management company you can be rest assured that all arrangements are made on time. From the time of our association with clients begins, we take complete charge. Be rest assured that your wedding arrangements are being looked after by dedicated and experienced professionals in the field. Various packages tailored to suit your budget, culture, guest number and special requests are executed with care. The products and services are handpicked for your big day and only the brightest and the best caring for these activities. The wedding is the event of your lifetime, and we want you to enjoy every moment and cherish it. We understand that wedding is a beginning of a new chapter in your life, but also know that it is a summary of singlehood. So glide back and enjoy as our masters take over as your embark on a dream wedding journey with our wedding planners.